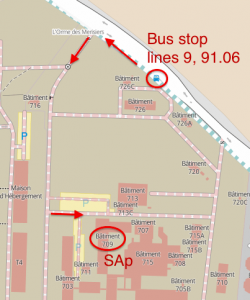 Authors: M. Kilbinger, et al. 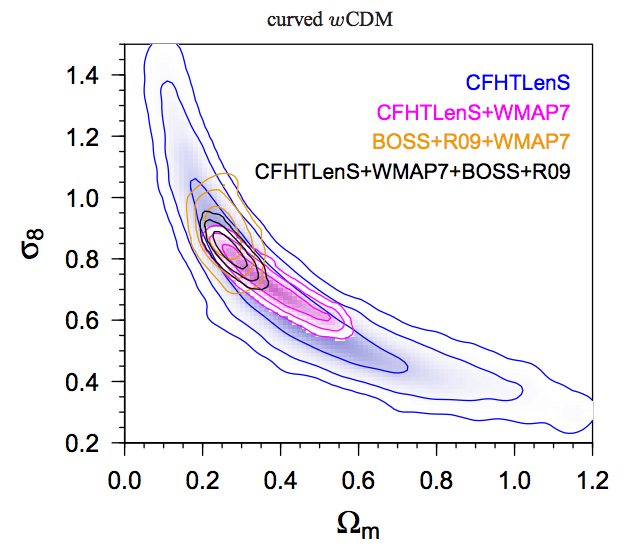 We present cosmological constraints from 2D weak gravitational lensing by the large-scale structure in the Canada-France Hawaii Telescope Lensing Survey (CFHTLenS) which spans 154 square degrees in five optical bands. Using accurate photometric redshifts and measured shapes for 4.2 million galaxies between redshifts of 0.2 and 1.3, we compute the 2D cosmic shear correlation function over angular scales ranging between 0.8 and 350 arcmin. Using non-linear models of the dark-matter power spectrum, we constrain cosmological parameters by exploring the parameter space with Population Monte Carlo sampling. The best constraints from lensing alone are obtained for the small-scale density-fluctuations amplitude sigma_8 scaled with the total matter density Omega_m. For a flat LambdaCDM model we obtain sigma_8(Omega_m/0.27)^0.6 = 0.79+-0.03.